Anamorphosis is one of the most bizarre forms of modern art that has the basis in the technique of drawing images which can only be fully understood from a specific point or angle. In certain cases, the correct image appears only if you see them via a mirror. One example is Hans Holbein the Younger’s The Ambassadorsand Andrea Pozzo’s magnificent frescoes on the dome of the Church of Sant’Ignazio in Rome. With the passage of time,the technique has evolved. Today, it ranges from 3-D images drawn on paper to street art mimicking holes or crevices in the ground. The roots of Photorealism lies in the 1960s, when shockingly lifelike images, usually in imitation of actual photographs came into being. By copying even the tiniest detail a camera could record, photorealist artists were able to produce “an image of an image of life.” The movement, also known as Super-realism or Hyperrealism is one among the types of fine arts that encompass sculpture as well as painting. Photorealism focus on the power of ordinary and everyday life. Richard Estes, Audrey Flack, Robert Bechtle, Chuck Close, and sculptor Duane Hanson, are some of the Influential photorealist artists. 52-year-old American graphic designer, Scott Wade has become famous for his amazing drawings. He creates them by using the dirt found on car windows. Anomg different types of art styles, Wade started out using the thick layers of dust from local Texas roads as his canvas. Wade features at art shows and advertisers hire him to display his skills at their events. He prefers working on glass having several layers of dirt, he often uses oil and a hairdryer to prepare a car for one of his live appearances. Among the types of art list, there is one where many artists create works using bodily fluids. Austrian performance artistHermann Nitsch uses urine and copious amounts of animal blood in his work which has landed him among controversies and even multiple court trials over the years.Brazilian artist Vinicius Quesada is well-known for a series of body fluid paintings titled “Blood Piss Blues.” Quesada only works with his own blood, refusing donations or animal blood. The artists also use parts of their own bodies to paint with are also steadily increasing in popularity. Take Tim Patch, his popularity seems to be growing and he is one of the artist who uses his body parts to paint. Others in the list are Kira Ayn Varszegi, Ani K., who paints with his tongue, and Stephen Murmer, a schoolteacher who paints with his bottom. Last but not least in the list is, is Norwegian artist Morten Viskum, who reportedly paints with a severed hand. Reverse 3-D imaging tries to make a three-dimensional object look like a drawing or painting. One name that finds association with the art is Alexa Meade. 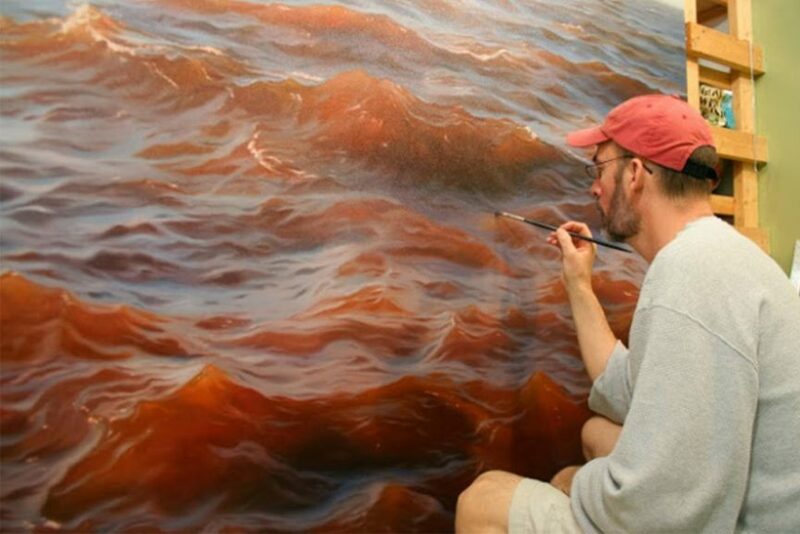 He makes use of non-toxic acrylic paint to make her subjects look like inanimate, 2-D paintings. The art came into being in 2008 but was made public in late 2009. Meade’s works generally involve a human subject sitting against a painted wall to give the appearance of a canvas which takes several hours to complete. In this art the shadow artists use carefully positioned objects to cast beautiful shadow images of people, words, or places. One name that comes to mind in the field is Kumi Yamashita and Fred Eerdekens.Shadow artists add themes of horror or urban decay into their work, notably the team of Tim Noble and Sue Webster. However, this art is not always concerned about the doom and gloom. 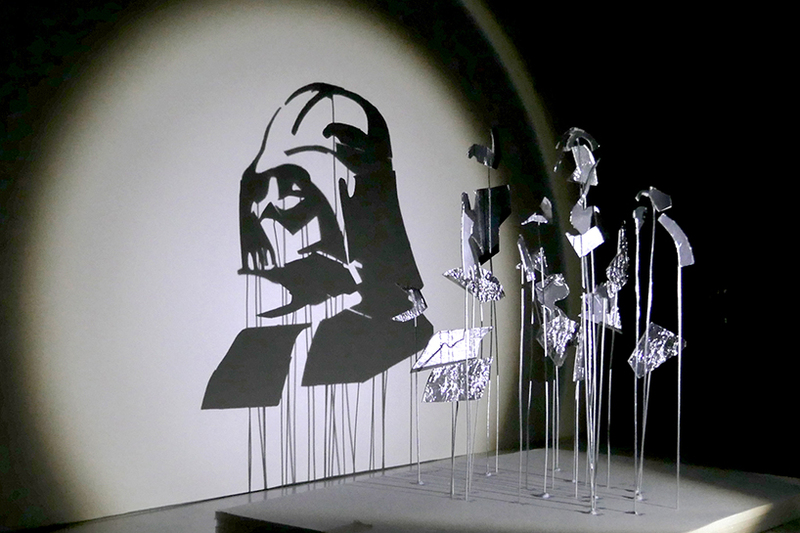 Shadow artist Rashad Alakbarov uses bright, colorful glass to reflect spectacular images. Reverse graffiti deals with creating art by removing dirt instead of adding paint. Artists make use of power washers to remove the dirt left on walls by car exhaust fumes. Thereby, they create beautiful images or patterns in the process. We popularly know this as “clean tagging.”The movement came into origin with English artist Paul “Moose” Curtis. His inspiration was the nicotine-stained walls of a restaurant where he washed dishes when he was a teen. 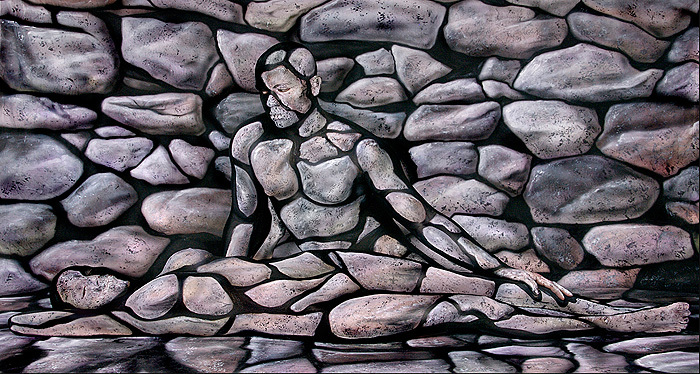 As the name suggests, the body art illusion involves painting a human canvas. Then mix it with a background and the illusion ranges from people painted to look like animals or cars to more subtle, disturbing imagery, like gaping holes in their skin. This form of art has been in existence for a long time by now. People in ancient Egypt tried their hands at it. One name that finds association with this form of art is Hikaru Cho. He is a Japanese body artist known for her unusual, cartoon-like illusions. Other names in the list are Johannes Stoetter andTrina Merry, who has mastery in the art of camouflaging. In 1914, Frank and Lillian Gilbreth began using lights. They began to use lights and a camera with the shutter wedged open to record the movements of individual employees. By studying the resulting light images, the couple hoped to find ways to make work simpler and easier.The method paved its way into the art world in 1935 due to the surrealist artist Man. Following Man Ray’s lead, the new style was came into existence when artists and photographers gave attention to these. These are Gjon Mili, Henri Matisse, Barbara Morgan, and Jack Delano. The modern light artists include Michael Bosanko, Trevor Williams, and Jan Leonardo. All in all, these are the top 10 most bizarre forms of modern art. These are there in the world that many of you do not even known. However, the artist who love to associate with the art find their happiness in the same. At the same time many of the people who are not fond of art still appreciate the same. Thanks for ones marvelous posting! I truly enjoyed reading it, you may be a great author.I will make sure to bookmark your blog and will often come back from now on. I want to encourage continue your great work, have a nice weekend! I have read so many content about the blogger lovers but this article is in fact a pleasant article, keep it up. Thanks for every other excellent post. The place else may anyone get that kind of info in such a perfect way of writing? I’ve a presentation subsequent week, and I am at the look for such information. What’s Going down i’m new to this, I stumbled upon this I’ve discovered It absolutely useful and it has helped me out loads. I am hoping to give a contribution & assist other users like its aided me. Good job. whoah this blog is great i love reading your posts. Stay up the great work! You know, a lot of individuals are hunting around for this information, you could help them greatly.